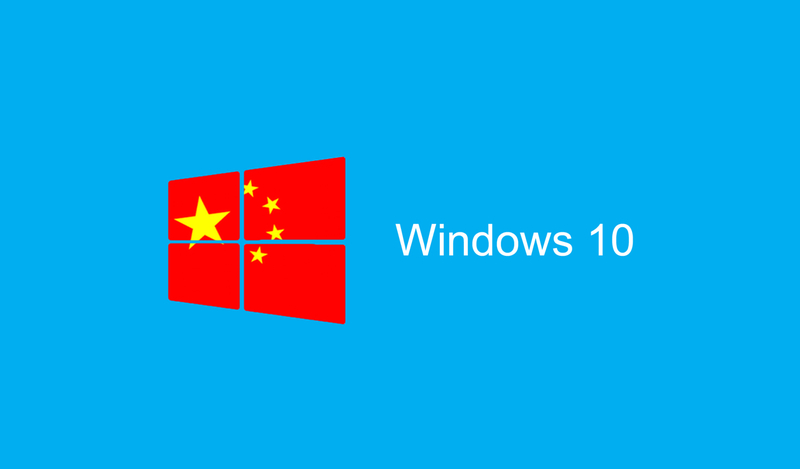 Microsoft has finished development of Chinese Windows 10 edition that is customized specifically for the country’s government. The Redmond software maker has been working with the China Electronics Technology Group (CTEC) on a joint venture to customize the OS for the government. Windows 8 was previously banned by China, as officials had cited security concerns. The Wall Street Journal reported that while Microsoft isn’t revealing exactly what has been modified, the changes will boost its sales in Beijing. The Chinese government has been concerned about technology products developed out of the country hiding backdoors to enable foreign surveillance. With Microsoft’s contracts with the Pentagon, China was apparently worried the NSA could be spying on it, which is why the country has been focusing on developing alternatives to Windows. A few years back, China had partnered with Canonical to create that alternative Windows operating system, codenamed Kylin. While that OS version failed, the country is currently working on a Linux-based operating system codenamed NeoKylin. While the Chinese government may be wary of Microsoft – and the US government, by extension – spying on its activities, it won’t be surprising if it demanded Microsoft for spying controls to be used by the Chinese government itself. China is known for its tight control over the internet and has previously asked the technology companies to provide “technical support” and hand over user data. When the country passed the new cybersecurity law in November last year, tech companies had criticized that the authorities may require them to disclose intellectual property, or worse, create backdoor access in order to continue doing business in the country. Microsoft, however, continues to oppose any such demands – both at home and overseas. The company had sued the US government last year for its efforts to access user data. Google and other tech companies are actually using Microsoft’s case to fight against data requests and other overreaching demands made by the law enforcement agencies in the US. As privacy advocates have warned for a long time, once these companies follow the instructions given by US intelligence, they will be required to do the same for other governments. And unlike the US, where we see insider leaks, requirements of transparency reports, and tech companies’ control over how they want to respond to any specific request, it would be difficult for them to have the same level of control or even chance of debate when it comes to China and other authoritarian regimes. The latest partnership with the Chinese government will certainly raise a number of questions around what exactly was Microsoft required to change to maintain its presence in China.